“Party with a Purpose” was the last original that Paige Godard saw her father paint. 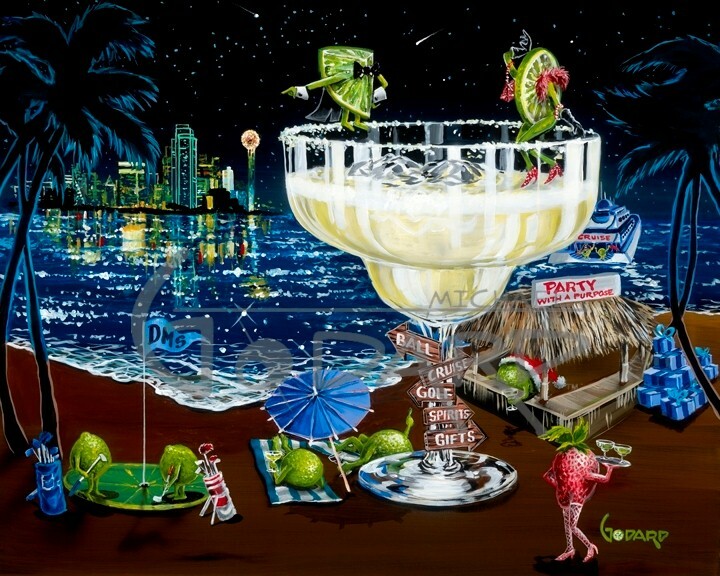 Created for the 30th anniversary of the Dallas Margarita Society, a charity group that hosts Texas-sized parties to raise money for children’s charities, this image is very special to Michael Godard. A portion of the proceeds from the sales of “Party with a Purpose” will go toward children’s charities. “Put good in, get good out,” says Michael Godard. Look up in the night sky above the sparkling New York City skyline of this beautiful holiday piece—Paige is up there in the stars, forever in her father’s heart.